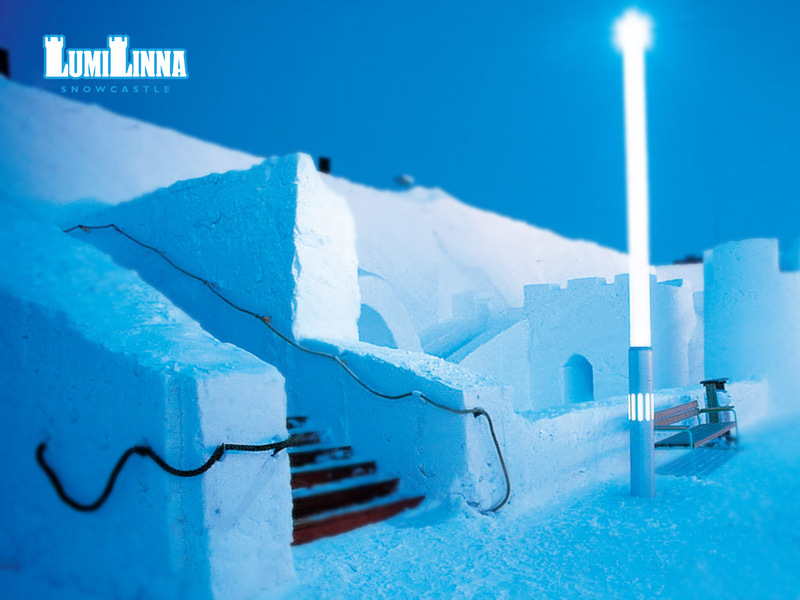 The SnowCastle is located in the northern reaches of Finnish Lapland. 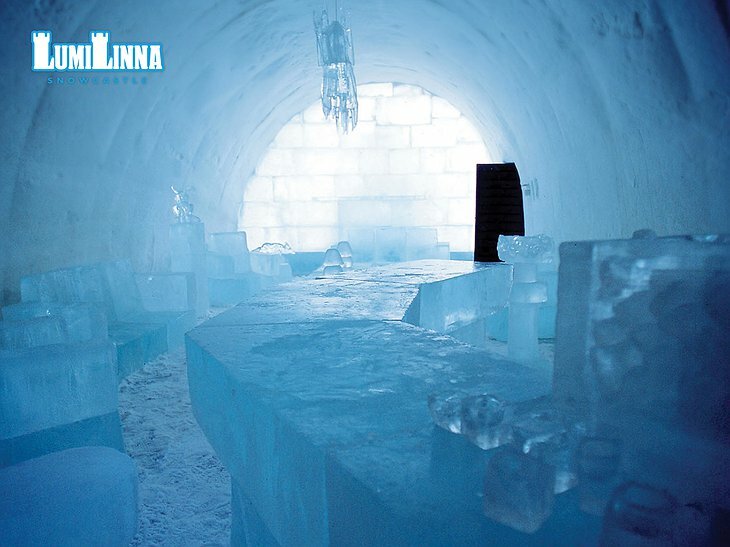 No, Lapland not the home of lapdancing, but the home of ice and wonder. 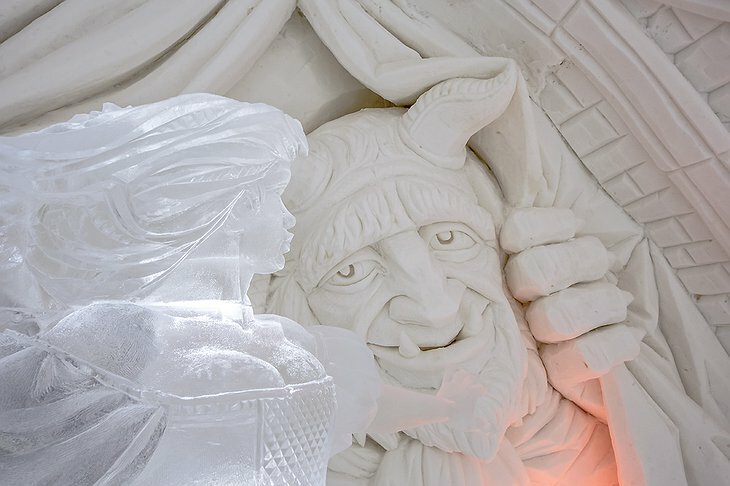 The SnowCastle has been hand built every year since 1996 with a new design each time. The annual build happens when the best snow architects come together to create one of the great signals that humanity is not lost – not when we can still create things this beautiful. 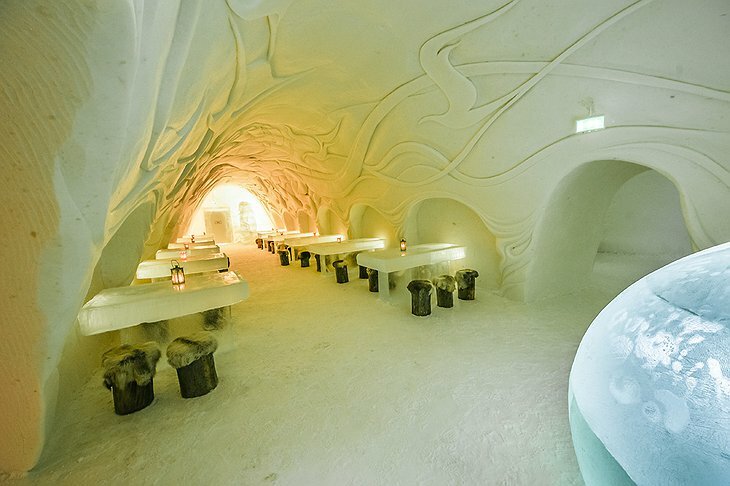 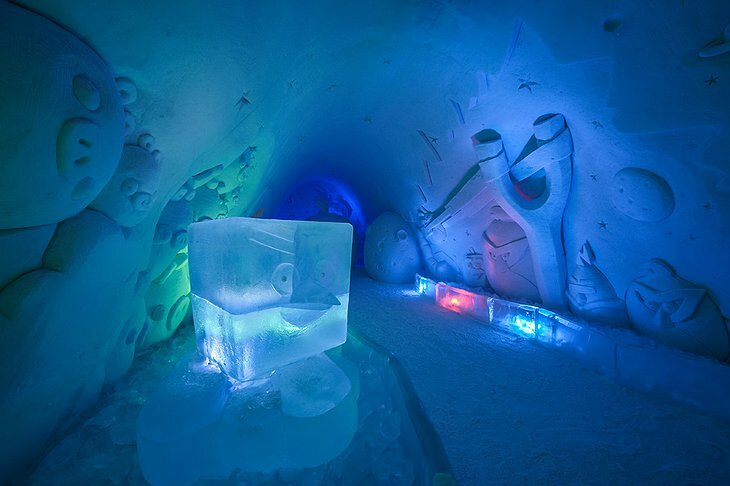 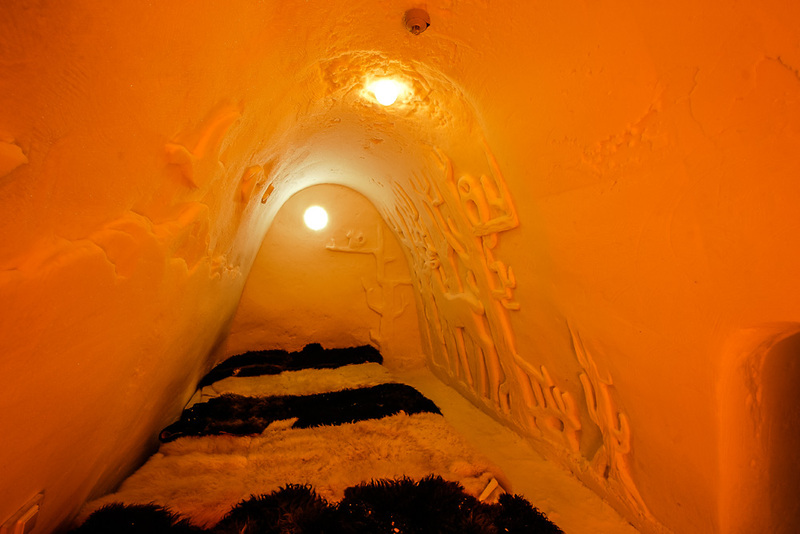 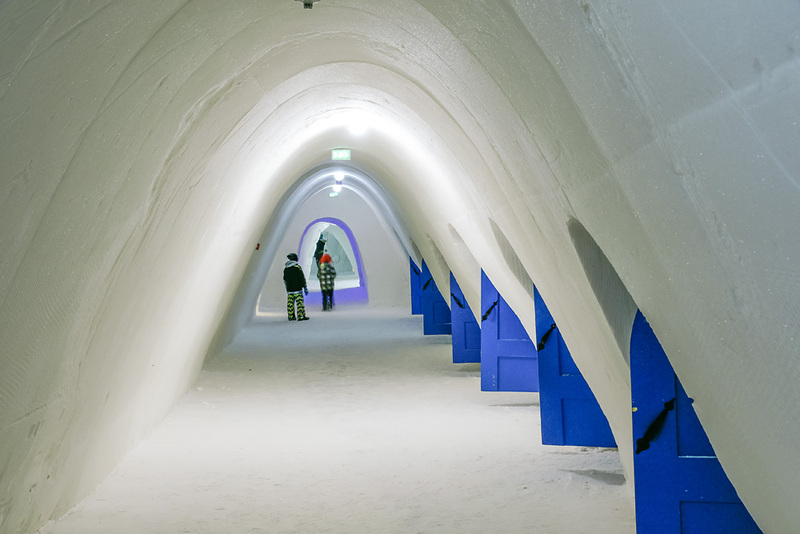 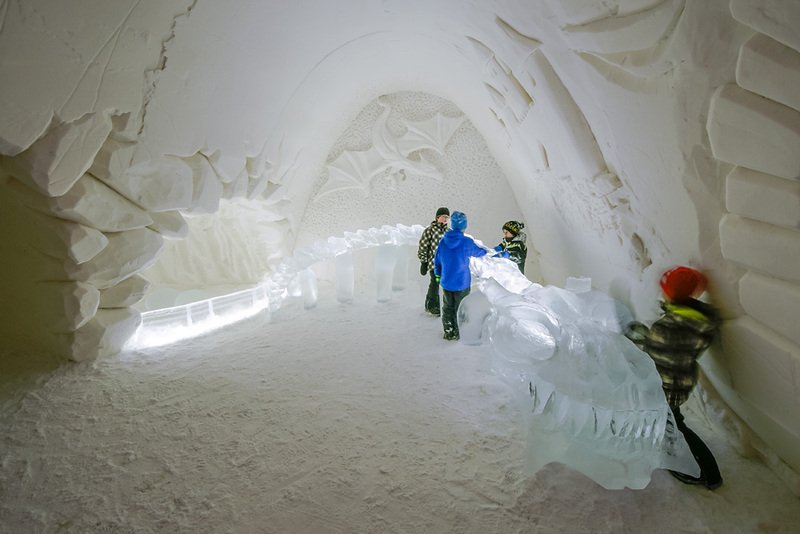 The complex is divided into the SnowHotel, SnowRestaurant and SnowChapel. 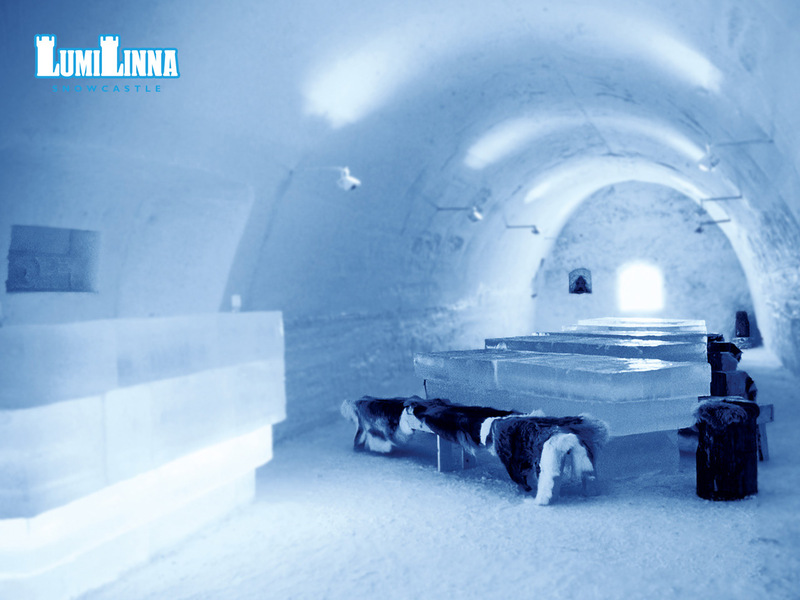 Temperatures inside are around -5 so guests are always dressed in warm clothing. The frame of your bed is made from ice but the thick rugs and thermal sleeping bag will keep you warm. 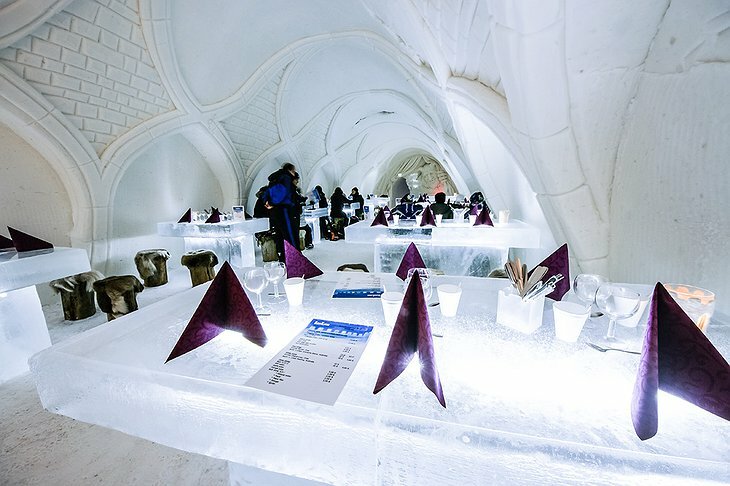 The restaurant serves hot and cold drinks and the menu features hearty northern food including fillet of reindeer. 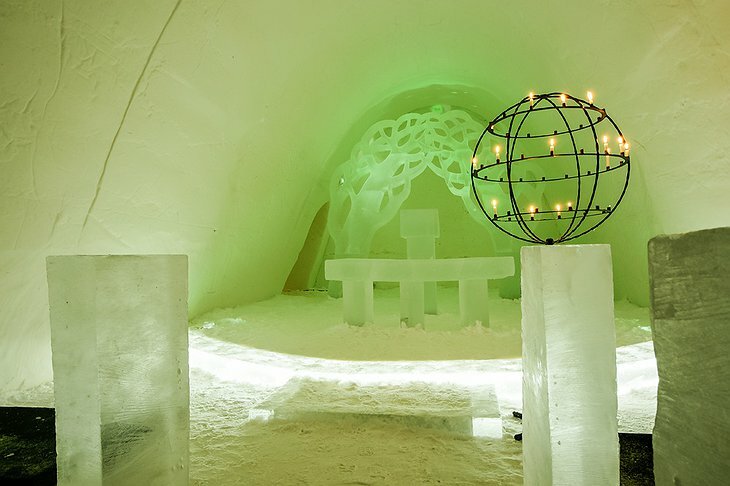 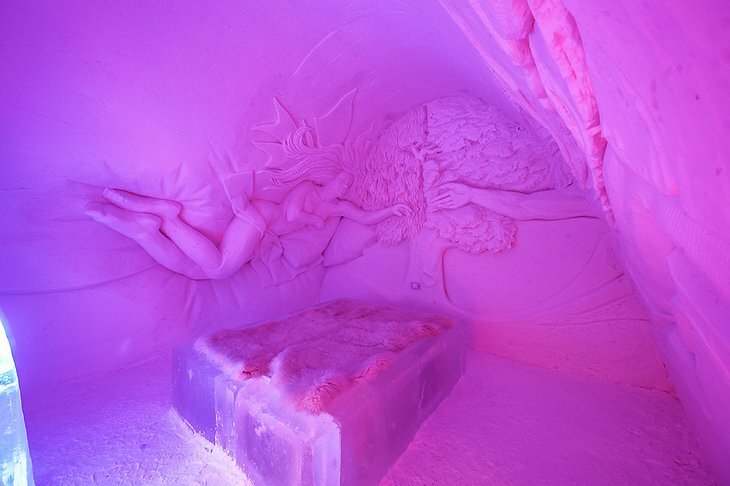 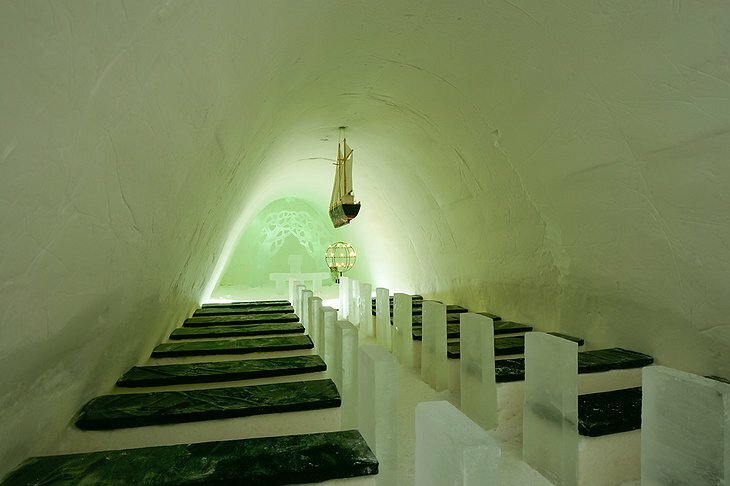 The SnowChapel is a religious space and can be used for weddings, christenings and other ceremonies. It is a space for quiet meditation in the frozen landscape. The SnowChapel is a space to wonder under the northern lights.